Wally Hall forgiven Bobby Knight yet? I read this on Wally’s blog today. When Arkansas plays Alabama tomorrow night the color analyst will be Bobby Knight, which has sent a few inquiries as to why I don’t write or say his name. I did go about 10 years I would not say or write his name. What happened was about 14 years ago when he came to Little Rock to speak at a fundraiser for UALR, featured as a family night get together, Knight, of course, was foul-mouthed and then he started in on something I had written and said I had to be the son of a prostitute. My mom, 75 at the time, heard it on the news that night and cried for a week. No one had ever called her a prostitute. A few years ago my former pastor, and still close friend, Robert Lewis asked with a smile if I thought my not writing Knight’s name showed forgiveness on my part. Since then I have written his name, but not very often. My mom is 89 now and doesn’t remember it, but that isn’t unusual for her any more. Poster for November 2008 benefit for Pressly family, held at Peabody Hotel in Little Rock. Max Brantley of the Ark Times Blog often attacks those on my side of the gun control debate and that makes me argue even harder for the 2nd amendment. Several months ago Lindsey Miller and Max Brantley were talking during their weekly podcast and Miller noted that an older lady living in the Heights area in Little Rock found an intruder in her house and she gave him her purse and he left. Miller commented that is the best policy and if the lady had a gun things could have turned out worse for her. My observation is that Anne Pressly lived in the same neighborhood and things were much worse for her. She got raped and killed. 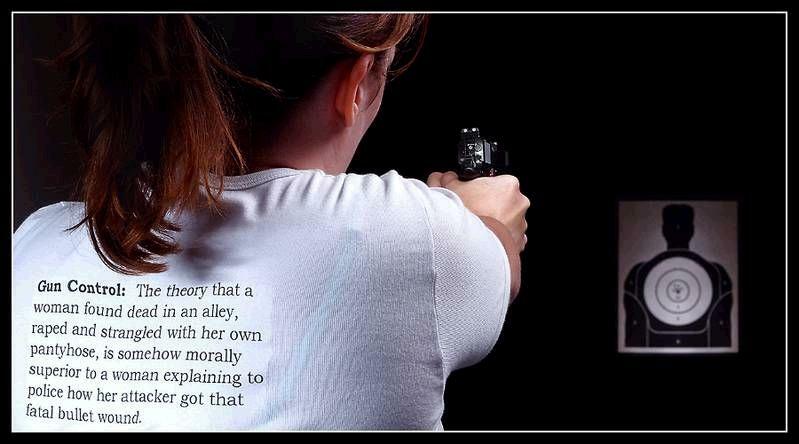 I wish she had been trained in using a gun and had one in the house. Then maybe she would have survived the night. I love these two posters. There is no safety crisis in schools as far as mass shootings go!!! The Atlantic’s Jeffrey Goldberg abandons his liberal friends on gun control. Gun control arguments very logical? I know it will be difficult to pass a Balanced Budget Amendment but at least Senator Mike Lee is trying. Sen. Mike Lee (R-Utah) is aiming to force lawmakers to spend within the means of the tax-paying public by introducing a balanced budget amendment to the Constitution that puts strict limits on the ability of Congress to run deficits and increase the national debt. Introduction of Lee’s bill comes on the heels of House action on Wednesday to suspend the $16.4 trillion debt ceiling until May 19 rather than increasing the level, and in turn requires Congress to pass a budget by April 15 – a task that has not been accomplished in several years. Lee’s bill would also limit spending to 18 percent of the gross national product, and requires a two-thirds vote of Congress to run a deficit, raise taxes, or increase the debt limit. “All past efforts of Congress to limit spending have utterly failed. None of the existing restraints – the Budget Act, spending caps, the debt limit, the sequester – have gotten spending under control, and we have $16.4 trillion of debt to prove it. Only a balanced budget amendment to the Constitution will permanently bind Congress and force both parties to live within the nation’s means. Anything less will simply maintain our dysfunctional and unsustainable status quo,” Lee said. Although a popular idea with the public, a balanced budget amendment to the Constitution has failed past legislative attempts by Republican lawmakers. The closest the bill has come to being law was 15 years ago, when it passed the House with bipartisan support but was defeated in the Senate by one vote. The last time Congress voted on a balanced budget amendment was in 2011 as part of an agreement to raise the debt ceiling. It was rejected in both the House and Senate. The chances of Lee’s legislation passing in the Democratic-controlled Senate this session look equally slim. The Balanced Budget Amendment is the only thing I can think of that would force Washington to cut spending. We have only a handful of balanced budgets in the last 60 years, so obviously what we are doing is not working. We are passing along this debt to the next generation. Thank you for this opportunity to share my ideas with you. 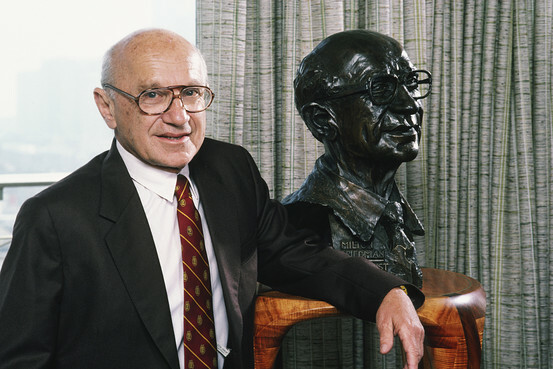 Milton Friedman warned the computer industry!!! Milton Friedman was a man of common sense and great foresight. What he said in 1999 has come to pass and the Cato Institute article on 1-28-13 pointed that out. The industry’s affection for Washington keeps growing. Facebook had 38 lobbyists working in 2012. It’s a measure of how far Silicon Valley has strayed from its entrepreneurial roots that a top regulator is calling on technology companies to do less lobbying and more competing.In a letter to the editor responding to a report in this column on how Google GOOG -0.39%spent $25 million lobbying to stop an antitrust case against it, Federal Trade Commission Chairman Jon Leibowitz wrote that companies should not draw the lesson that lobbying pays. Instead, he urged: “Stop! Invest your money in expansion and innovation.” Mr. Leibowitz asserted in his letter, published Jan. 18, that “Google’s lobbying expenses had no effect on the care, diligence or analysis of the agency’s incredibly hard-working staff or the decisions reached by any of the FTC’s five commissioners.”Whatever the effect of Google’s big-ticket lobbying, regulators deserve much of the blame for companies calculating that lobbying is a good investment. Still, Mr. Leibowitz has a point: Tech executives should think twice before again lobbying government to get involved in their industry.The precedent for the potential antitrust case against Google was the massive prosecution in the 1990s of Microsoft, MSFT +0.14%the giant of the desktop era. Competitors such as Netscape, Oracle ORCL +0.45%and Sun Microsystems lobbied hard to get regulators to bring the case that did end up paralyzing Microsoft. Getty Images Milton Friedman, a model of prescience regarding tech-industry lobbying. Friedman was right. The Internet undermined Microsoft’s market power years before the litigation ended. Alas, his warning fell on deaf ears—and ironically, it was Microsoft that led the recent lobbying to investigate Google’s dominance of the search industry. Microsoft funded lobbyists under names such as FairSearch.org. The FTC hired outside lawyers to prepare a case, but after a lengthy investigation concluded what was obvious from the start: There was no case against Google’s practice of delivering answers as well as just links in its search results. It may harm Google’s competitors, but it benefits consumers, whom the antitrust laws are supposed to protect. Google has a former congresswoman, Susan Molinari, running its Washington office. Facebook FB +2.92%employed 38 lobbyists last year, up from 23 in 2011. Over the past few years, Microsoft, Apple, Google and Intel have all hired former top FTC staffers, spinning the revolving door that fuels the growth of lobbying. The growth in tech lobbying reflects the eagerness of the Obama administration and its regulators to get involved in the industry. FTC and Justice Department investigations into antitrust cases are just part of the problem. The FTC has also involved itself in the core business operations of the Internet. Under this broad privacy umbrella, the FTC thus oversees the key revenue stream for several of the largest companies on the Internet. These consent decrees apply for 20 years, an absurd length of time in the fast-changing technology industry. Internet companies staffed up their Washington offices in part to fend off regulations that would undermine the ad-supported services they provide to consumers. Rather than lobby government to go after one another, Silicon Valley lobbyists should unite to go after overreaching government. Instead of the “suicide impulse” of lobbying for more regulation, Silicon Valley should seek deregulation and a long-overdue freedom to return to its entrepreneurial roots. A version of this article appeared January 28, 2013, on page A13 in the U.S. edition of The Wall Street Journal, with the headline: Silicon Valley’s ‘Suicide Impulse’. I am doing a series on the “Ghosts of Ole Miss broadcast.” I enjoyed watching the Ghosts of Ole Miss broadcast on ESPN on 1-27-13 with my mother. She went to Ole Miss in the early 1960’s. Also living in Little Rock my wife has relatives that were also present and involved at Central High during the 1957 Little Rock Central High School Crisis. It is amazing that the neighboring states Arkansas and Mississippi both were a part of history like this. Ole Miss went undefeated in 1962. But that isn’t even what many remember that season for. In 1962, James Meredith made his debut for Ole Miss, becoming the the first African American not only to play at Ole Miss, but to attend Ole Miss. And he wasn’t welcomed with open arms. Instead, he was welcomed with violence and rioting, to the point where President John F. Kennedy had to send backup to campus to put a stop to it. ESPN’s latest 30 for 30 documentary, Ghosts of Ole Miss, explores that emotional season and everything that came with it—the exhilaration that accompanies an undefeated campaign, as well as the turmoil that accompanied the civil rights movement and Meredith’s personal journey with the Rebels. Ghosts of Ole Miss will shed light on a significant time in our country’s civil rights history while weaving in a sports story not familiar to most. Fifty years later, the topic resonates with all Americans and we are proud to showcase such an important story as part of the 30 for 30 series. According to the press release, Ghosts of Ole Miss will include interviews with James Meredith, other players from the legendary 1962 team and students who were present for the rioting. The timing of the documentary is especially significant right now, in light of the on-the-field struggles Ole Miss is currently facing. During a year in which the SEC is the most formidable conference in college football, the Rebels are far from intimidating at 2-2 in conference play, 5-3 overall. Still, that is a vast improvement over 2011, when Ole Miss went winless in conference play and 2-10 overall, losing seven straight games to close out the season. The Rebels haven’t been decent since a 9-4 season in 2009—and even then, they went 4-4 in SEC games. This documentary serves dual purposes. It brings to mind the Rebels’ only undefeated season in school history, which is the kind of magic Ole Miss fans need to recall right about now, when the team is in the midst of the types of struggles a storied SEC program isn’t accustomed to enduring. But it also brings to mind the fact that football isn’t everything, and winning isn’t everything. The most exciting, most accomplished season in Ole Miss history has been permanently overshadowed by the dark and devastating social issues that occurred simultaneously. It’s not often that football brings about a life-or-death situation—which it did in 1962, when there were two fatalities in the Ole Miss riot—but this was one of those times. And yet, in the end, an undefeated season—which Meredith was a part of—served as the ultimate victory at the conclusion of a horrible tragedy. What does Ghosts of Ole Miss teach us? That life doesn’t depend on football, but that doesn’t mean that football can’t heal. One thing that stands out about Dan Mitchell is that is not a Democrat or a Republican but a lover of freedom like Milton Friedman was. Don’t you want to take up for freedom like Dan does? Don’t you think we should attempt to grow the private sector more than the public sector? Take a look at this article of his below. Good fiscal policy requires the private sector to grow faster than the government. That is the crucial goal of the House Republican budget. Thanks to several years of fiscal restraint during the 1990s, the burden of federal spending dropped to 18.2% of gross domestic product by the time Bill Clinton left office. The federal budget today consumes more than 24% of economic output, a one-third increase since 2001 in the share of the U.S. economy allocated by politics rather than market forces. That makes the Republican House budget, which would reverse this trend, extremely important for the economic health of the country. Both political parties deserve blame for the spending spree that’s put America in a fiscal ditch. President George W. Bush was a big spender and President Obama has compounded the damage with his stimulus spending and other programs. But the era of bipartisan big government may have come to an end. 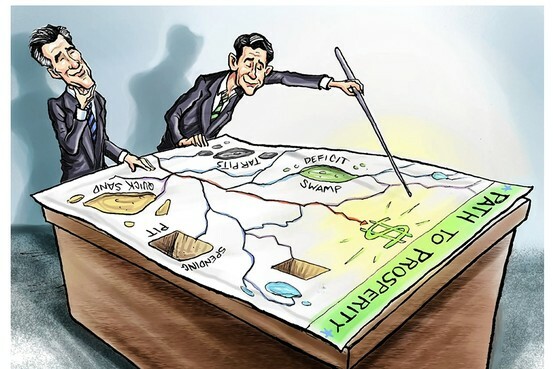 Largely thanks to Rep. Paul Ryan and the fiscal blueprint he prepared as chairman of the House Budget Committee earlier this year, the GOP has begun climbing back on the wagon of fiscal sobriety and has shown at least some willingness to restrain the growth of government. The Ryan budget has generated considerable controversy in Washington, and it will become even more of an issue now that Mr. Ryan is Mitt Romney’s running mate. So it’s an appropriate time to analyze the plan and consider what it would mean for America. The most important headline about the Ryan budget is that it limits the growth rate of federal spending, with outlays increasing by an average of 3.1% annually over the next 10 years. If spending is left on autopilot, by contrast, it would grow by 4.3% (or nearly 39% faster). If President Obama is re-elected, the burden of spending presumably will climb more rapidly. This comes as a surprise to many people since the press is filled with stories about the Ryan budget imposing trillions of dollars of “savage” and “draconian” spending cuts. All of these stories, however, are based on Washington’s misleading budget process that automatically assumes an ever-expanding government. The 4.3% “base line” increase is the benchmark for measuring “cuts”—even though spending is rising rather than falling, and it’s only the rate of spending growth that is being slowed. Even limiting spending so it grows by 3.1% per year, as Mr. Ryan proposes, quickly leads to less red ink. This is because federal tax revenues are projected by the House Budget Committee to increase 6.6% annually over the next 10 years if the House budget is approved (and this assumes the Bush tax cuts are made permanent). Since revenues would climb more than twice as fast as spending, the deficit would drop to about 1% of gross domestic product by the end of the 10-year budget window. To balance the budget within 10 years would require that outlays grow by about 2% each year. Spending in the Ryan budget means the federal budget reaches balance in 2040. There are many who would prefer that the deficit come down more quickly, but from a jobs and growth perspective, it isn’t the deficit that matters. Rather, what matters for prosperity and living standards is the degree to which labor and capital are used productively. This is why policy makers should focus on reducing the burden of government spending as a share of GDP—leaving more resources in the private economy. The simple way of making this happen is to follow what I’ve been calling the golden rule of good fiscal policy: The private sector should grow faster than the government. This is what happens with the Ryan budget. The Congressional Budget Office expects nominal economic output (before inflation) to grow about 5% each year over the next decade. So if federal spending grows 3.1% annually, the burden of federal spending slowly shrinks as a share of GDP. According to the House Budget Committee, the federal budget would consume slightly less than 20% of economic output if the Ryan budget remained in place for 10 years. This would be remarkable progress considering that the federal government is now consuming 24% of GDP vs. Mr. Clinton’s 18.2% in 2001. If Paul Ryan’s policies are social Darwinism, as Mr. Obama and his allies allege, one can only speculate where Bill Clinton ranks in their estimation. Spending restraint also creates more leeway for good tax policy. Regardless of what you think about deficits, the political reality is that it is difficult to lower tax rates if government borrowing remains at high or rising levels. If deficit spending continues at current levels, then higher tax rates are almost sure to follow. And higher tax rates can’t create an environment conducive to more investment and jobs. The Ryan budget avoids this unpleasant outcome by addressing the problem of excessive government spending. This makes it possible to extend the 2001 and 2003 tax-rate reductions. It also clears the way for other pro-growth reforms, such as Gov. Romney’s proposed across-the-board 20% income tax cut, a more competitive 25% corporate tax rate, and less double-taxation of dividends and capital gains. One of the best features of the Ryan budget is that he reforms the two big health entitlements instead of simply trying to save money. Medicaid gets block-granted to the states, building on the success of welfare reform in the 1990s. And Medicare is modernized by creating a premium-support option for people retiring in 2022 and beyond. This is much better than the traditional Beltway approach of trying to save money with price controls on health-care providers and means testing on health-care consumers. Price controls are notoriously ineffective—because health-care providers adapt by ordering more tests and procedures—and politically unsustainable due to lobbying pressure. Means testing imposes an indirect penalty on people who save and invest during their working years. That should be a nonstarter for a political party that seeks to encourage productive behavior and discourage dependency. But good entitlement policy also is a godsend for taxpayers, particularly in the long run. Without reform, the burden of federal spending will jump to 35% of GDP by 2040, compared to 18.75% of output under the Ryan budget. Assuming the GOP ticket prevails in November, Mitt Romney will make the big decisions on fiscal policy. But there is no escaping the fiscal math. If Mr. Romney intends to keep his no-tax-hike promise, he has to restrain the growth of spending. This doesn’t mean he has to go with every detail of the Ryan budget—but it’s certainly a good place to start. Mr. Mitchell is a senior fellow at the Cato Institute. A version of this article appeared August 16, 2012, on page A11 in the U.S. edition of The Wall Street Journal, with the headline: What’s Really in the Ryan Budget. If you want to check out some of the past posts were atheists have been confronted then check out these links below. Genesis is filled with Creation myths, myths that appear in one form or another and virtually every culture. Do you want your kid’s teacher talking about the myth of “Adam and Eve”? Leviticus is down right scary, but it is a good place to point out the inconsistencies in Bible and how contrary they are to our common life. The Gospels? Like 5 blind men describing an elephant. What were Matthew, Mark, Luke and John thinking? I understand how skeptics love to take pot shots at the Bible, but let us take a look at some of the facts. Archaeologists have unearthed the five porticoes of the pool of Bethesda by the Sheep Gate (John 5:2), the pool of Siloam (9:1-7), Jacob’s well at Sychar (4:5), the ‘Pavement’ (Gabbatha) where Pilate tried Jesus (19:13), and Solomon’s porch in the temple precincts (10:22-23)… Since then, discovery of an ossuary (bone-box) of a crucified man named Johanan from first-century Palestine confirms that nails were driven in his ankles, as in Christ’s; previously some skeptics thought that the Romans used only ropes to affix the legs of condemned men to their crosses. And less than five years ago, in 1990, the burial grounds of Caiaphas, the Jewish high priest, and his family were uncovered in Jerusalem. These and numerous other details create a favorable impression of the Gospel’s trustworthiness in the areas in which they can be tested. I may fairly claim to have entered on this investigation without prejudice in favor of the conclusion which I shall now seek to justify to the reader. On the contrary, I began with a mind unfavorable to it,… It did not then lie in my line of life to investigate the subject minutely; but more recently I found myself brought into contact with the Book of Acts as an authority for the topography, antiquities and society of Asia Minor. It was gradually borne upon me that in various details the narrative showed marvelous truth. I wrote the famous atheist Anthony Flew a series of letters during the 1990’s and he was kind to answer several of them. I also sent him several cassette tapes and video tapes of Adrian Rogers messages. I will start a new series on this subject and post his responses. Below is a video clip filmed close to end of Dr Flew’s life. Why are we spending more and more on welfare every year? What would the Founding Fathers have to say about this if they were still here today? We will look at that in a little bit. We need to cut Food Stamp program and not extend it. However, it seems that people tell the taxpayers back home they are going to Washington and cut government spending but once they get up there they just fall in line with everyone else that keeps spending our money. I am glad that at least these 16 brave Senators voted against doing that. I wish we had some more brave Senators and Representatives up there in Washington. Here are the names of those brave senators: Lamar Alexander (TN), John Barrasso (WY), Roy Blunt (MO), Scott Brown (MA), Dan Coats (IN), Susan Collins (ME), Mike Enzi (WY), Chuck Grassley (IA), John Hoeven (ND), Kay Bailey Hutchison (TX), Mike Johanns (NE), Richard Lugar (IN), Jerry Moran (KS), Pat Roberts (KS), Olympia Snowe (ME), and John Thune (SD). To take from one, because it is thought that his own industry and that of his fathers has acquired too much, in order to spare to others, who, or whose fathers have not exercised equal industry and skill, is to violate arbitrarily the first principle of association, “the guarantee to every one of a free exercise of his industry, and the fruits acquired by it.” If the overgrown wealth of an individual be deemed dangerous to the State, the best corrective is the law of equal inheritance to all in equal degree; and the better, as this enforces a law of nature, while extra taxation violates it. Jefferson pointed out that to take from the rich and give to the poor through government is just wrong. Franklin knew the poor would have a better path upward without government welfare coming their way. Milton Friedman’s negative income tax is the best method for doing that and by taking away all welfare programs and letting them go to the churches for charity. Why did Obama stop the Welfare Reform that Clinton put in? Over the years I have taken on the Ark Times liberal bloggers over and over and over concerning the issue of abortion. I asked over and over again for one liberal blogger to come forward and tell me when they thought an unborn baby should be protected by our government and finally I got someone to do that. In fact, several stepped forward. On 1-24-13 I took on the child abuse argument put forth by Ark Times Blogger “Deathbyinches,” and the day before I pointed out that because the unborn baby has all the genetic code at the time of conception that they will have for the rest of their life many scientists were pro-life. I have also answered some of the questions that pro-abortion bloggers have asked me such as what should be the punishment for doctors that perform abortions if abortion is outlawed and I also answered questions concerning the movie “The Cider House Rules” and I have discussed the PBS film series “The Abolitionists” and how that relates to this issue of abortion. Both Elwood and MountainGirl brought up the subject and you both deserve an answer too. Does a fetus deserve to have a host who’s well fed, clothed, fed and has a secure, clean home and sufficient medical care at all stages of the “unborn person’s” life regardless of ability to pay? It seems that humans now fall into two categories: the unborn person, and the born person. I have asked many times before and continue to wonder: why is there a fanatical obsession with protecting the “unborn” person, but once it is born, an equal obsession by the same people with cutting off all services(food, shelter, heath care, etc.) to provide for a stable and healthy environment for that “born” person to thrive. 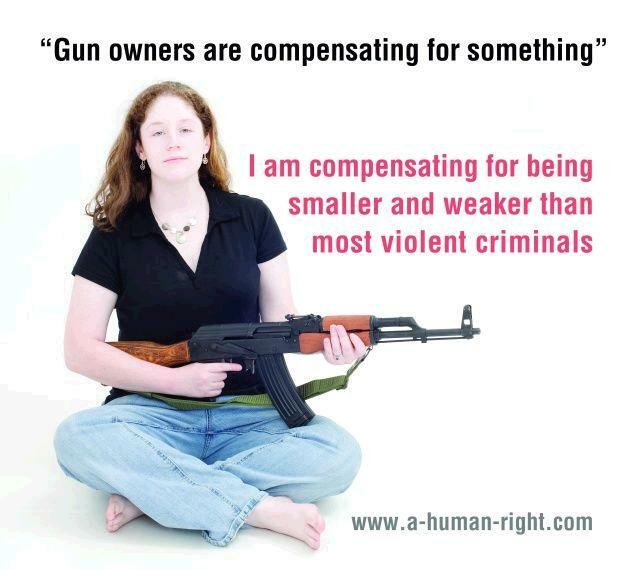 There appears to be a much higher premium on the unborn person than the born person. I might understand this a little better if the people fighting so hard to bring these unwanted unborn persons into the world were fighting equally as hard to provide for their needs once they are born. A simple answer to Elwood’s question is not possible but I can answer it with two comments. I do think they can achieve those things better if the society if more free economically. This would cause more economic growth and we would cut down on poverty. I don’t think the government should mandate that everyone has free healthcare. Your answer is more government poverty programs. The War on Poverty. $15,000,000,000,000 has been spent by the federal and state governments on 122 separate welfare programs since 1964, according to a Cato analysis. The poverty rate in 1964 was 19 percent and falling. Nearly 50 years later, the rate is still more than 15 percent and climbing. What difference, at this point, does trillions in welfare spending make? In this program, Milton Friedman visits India, the U.S., and Britain, examining the question of equality. He points out that our society traditionally has embraced two kinds of equality: equality before God and equality of opportunity. The first of these implies that human beings enjoy a certain dignity simply because they are members of the human community. The second suggests societies should allow the talents and inclinations of individuals to unfold, free from arbitrary barriers. Both of these concepts of equality are consistent with the goal of personal freedom. In recent years, there has been growing support for a third type of equality, which Dr. Friedman calls “equality of outcome.” This concept of equality assumes that justice demands a more equal distribution of the economic fruits of society. While admitting the good intentions of those supporting the idea of equality of outcome, Dr. Friedman points out that government policies undertaken in support of this objective are inconsistent with the ideal of personal freedom. Advocates of equality of outcome typically argue that consumers must be protected by government from the insensitivities of the free market place. Dr. Friedman demonstrates that in countries where governments have pursued the goal of equality of outcome, the differences in wealth and well being between the top and the bottom are actually much greater than in countries that have relied on free markets to coordinate economic activity. Indeed, says Dr. Friedman, it is the ordinary citizen who benefits most from the free market system. Dr. Friedman concludes that any society that puts equality ahead of freedom will end up with neither. But the society that puts freedom before equality will end up with both greater freedom and great equality. Elwood and MountainGirl both argue that an unwanted baby would add a burden to their family. Then why isn’t adoption a good alternative? In an age where we doubt the justice of capital punishment even for very dangerous criminals, killing a fetus who has not done any harm, to avoid a future problem it may pose, seems totally unjust. There are indeed many social problems that could be erased simply by destroying those persons who constitute or cause them, but that is a solution repugnant to the values of society itself. In short, then, if the fetus is a human being, the appeal to its being unwanted justifies no abortions. If you do think that by voting free healthcare and welfare for everyone then you will end up like Greece. The founding fathers knew this and warned against it. I do think that Milton Friedman makes a very convincing argument that if government stays out of the way then the free market will create the kind of wealth that it did in Europe and the USA for many decades. The question that pro-abortionists will never answer!!! I really enjoyed this documentary on Woody Allen from PBS. 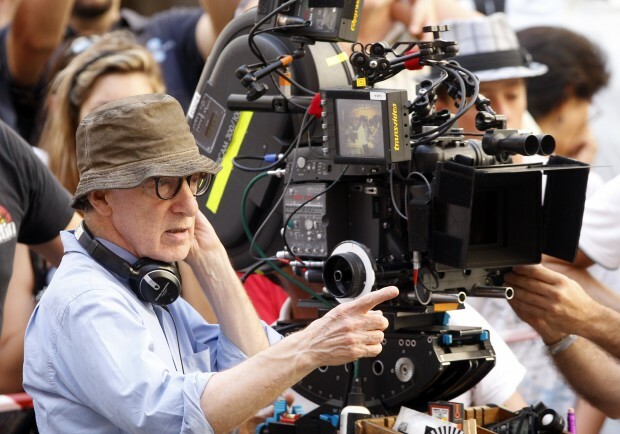 Early in PBS’ “Woody Allen: A Documentary,” a two-part film made with the subject’s cooperation, the young comic is seen on a variety of talk shows, doing a falsetto voice on a game show, boxing a real kangaroo and dueting with a talking dog. “Nothing was beneath me,” recalls Allen. Fans may consider Allen one of the most consistent, entertaining filmmakers ever to pick up a camera. Others may have dismissed him as a creep after he married his girlfriend’s adopted daughter. But the Allen in this 3 1/2-hour piece, directed by Robert Weide, is a comic who would once do anything to get to the top, even if it meant getting clobbered by an angry marsupial. Weide’s running theme — as he explores Allen’s canon and interviews dozens of big names, including Diane Keaton, ex-wife Louise Lasser, Martin Scorsese and Mira Sorvino — is that Allen is always looking for the meaning of life. The film suggests that Allen changed tactics after the first film he wrote, “What’s New Pussycat?” He was dismayed by the finished product, and vowed to direct — and control — his own work after that. For better or worse, that’s exactly what he’s done. Sean Penn talks about being petrified that Allen was going to fire him after his first week on “Sweet and Lowdown.” Penn kept his job, and nabbed an Oscar nomination. Weide, best known as a regular director on “Curb Your Enthusiasm,” doesn’t sugarcoat the disasters, most notably “Stardust Memories.” He even explores Allen’s relationship with wife Soon-Yi Previn. The result is a film that will give Allen fans whole new reasons to gush — and detractors some fresh ammunition.